report that points to a file that no longer exists. 1. 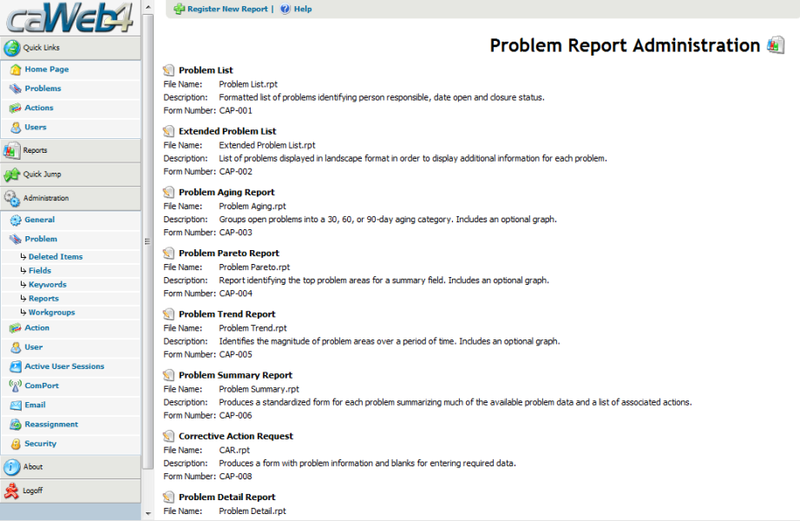 Login to caWeb4 and go to Administration > Problem > Reports. 2. Check to see what filename the report is pointing to. 3. Logon to the webserver and go to the reports directory (C:\Inetpub\wwwroot\caWeb4\Reports). 4. Verify the file does not exist. 5. 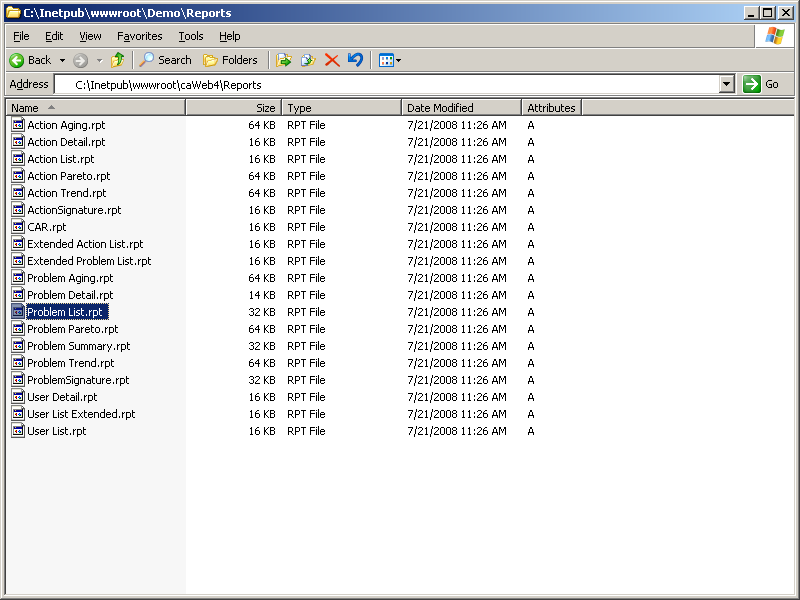 Add the report file back to the reports directory or remove the report registration from caWeb4.